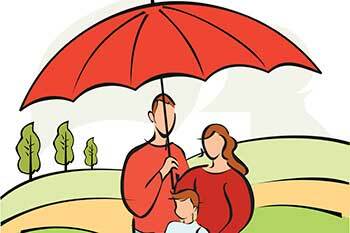 How to choose a ‘Child Plan’? Opting for the right child plan should be right on top of your priority list. It is a better idea to opt for the best one as early as 90 days from the day your child joins the world. Reality dawned on me recently when I accompanied my son to a renowned college for his admission last month. It took some time for the feeling to sink in, that the tiny bundle of joy that I used to carry on my shoulders a little while ago is entering a completely new phase of life. This was probably the most important milestone in my child’s education journey so far. The importance of this milestone stems from the fact that it is the first ever time your child chooses what exactly he wants to pursue as a career option. Secondary education definitely prepares a ground and gives a direction to your child’s career ambitions; however it is the quality of higher education which proves to be the turning point of your child’s career aspirations. I would consider myself lucky that my child was clear about getting into a top college from the beginning and pursue a subject very close to his heart, that helped me save up accordingly for his higher education, but this might not be the same in your case. It’s definitely nothing to do with your child’s ability or his focus. Thanks to the variety of subjects and career options available nowadays, children prefer choosing the career option which matches their interest, instead of opting for the ‘popular’ courses. Back in our days (which is about two decades back, in my case! ), we probably had only a few options available to choose from while going for higher education. These days it is very common to see children opting for hotel management courses, animation courses, some of them opt for a course in film making which was unheard off sometime back. While the availability of different courses to choose ensures that your child is able to pursue her passion, it also requires your funding mechanism to be flexible enough to suit your child’s decision to opt for a particular course. Have you ever thought if your child changes her mind while going for her higher education and opts for a completely different subject instead, how prepared are you financially to meet her expectations ? In the last one decade, the education sector in India and abroad has seen a substantial growth of colleges and universities. While this is certainly something positive to look forward to, the flip side of the story is that in the last 7 years, the cost of education has more than doubled in India and is expected to be 4 times the current cost over the next 15 years. It is for such a scenario that you may need to seriously evaluate a specially designed ‘Child Plan’ that will ensure that your child is able to get the best of higher education as per her choice. Those with guaranteed paybacks might help reduce some of the stress in your life in so far as your child’s college admission is concerned. An important aspect that you might also need to consider while opting for such a child plan is the flexibility in timing the guaranteed payback amounts. It would be wonderful if you would be able to advance or defer the money backs to suit the course period which your child opts for during her higher education. Though most of you might consider this awful to think of your child’s future without you, but the fact of the matter is, that life is uncertain. Hence, most well designed child plans cover your child’s higher education cost even in case you are no more. In such an unfortunate scenario, an ideal child plan must waive off all the future premiums payable and provide an immediate financial relief to ensure continuity of her education and at the same time protect payback for higher education. In the similar scenario, some plans even offer an option of providing a monthly income benefit of say, 1% of the sum assured to the nominee. Opting for such comprehensive child plans also brings in a practice of disciplined savings, which is of utmost importance while financially preparing yourself for your child’s higher education. I am sure that just like me, for you too, your child has been the center of your universe since the day she was born. Since then all your major decisions would have been centered around her varied needs. Out of these major decisions, opting for the right child plan should be right on top of your priority list. It is a better idea to opt for the best one as early as 90 days from the day your child joins the world, to ensure that your core focus stays on her upbringing instead of worrying for her college fund, or worse, curbing her aspirations to enroll into her dream college. By planning well, you will also be able to experience the same relief that I felt after you are able to support your child’s ambitions and see her achieve the best for herself. You will hear the ‘silent thank you’ in your child’s voice when you receive that surprise call from her and even see it in your wife’s eyes, everyday. Trust me, that’s a mighty feeling!